This past Autumn James and I went out to SW Idaho for a couple of days to see all we could in such a short amount of time. 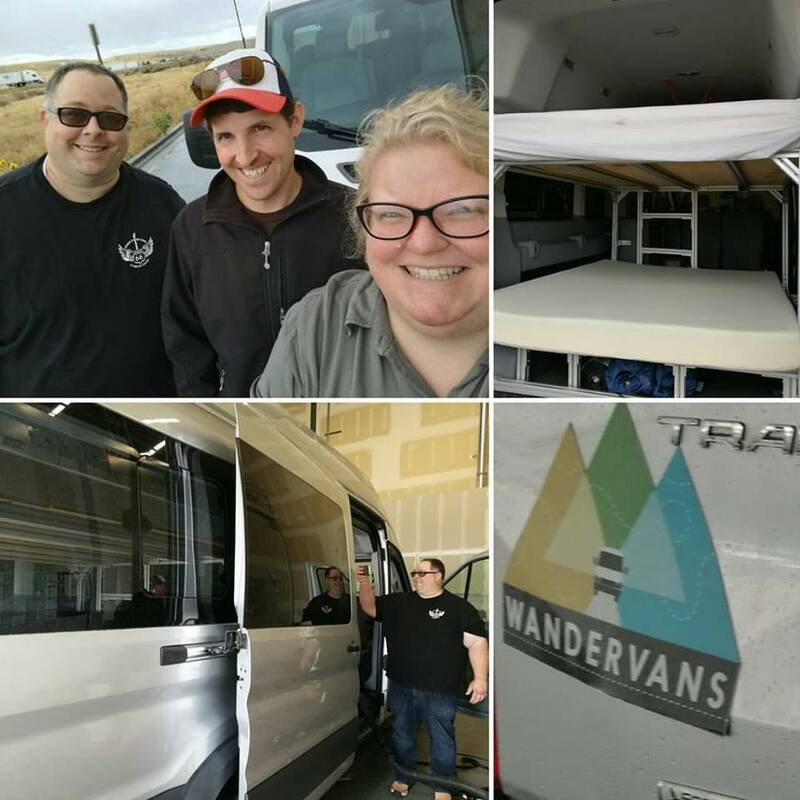 We were lucky enough that the people at Wandervans gave us a van that not only we could drive but sleep comfortably in. We did have some hiccups along the way which you can learn from but otherwise we had a great time exploring the desert (yes SW Idaho has a desert), and the mountains. We flew into Boise which was super easy and Chris from Wandervans picked us up and showed us all of the stuff in the van. We had a sink with water, a refrigerator, a heater, collapsing furniture, and other little things to make our trip more pleasant. I was very surprised how comfy our bed was and that a king size bed could fit in a van! There are a couple vans to choose from and since it was only the two of us we had Silverstar. The other two vans can fit 4 and 5 people sleeping. Our first night we went to Bruneau Dunes State Park 60 miles or so SE of Boise. It is allegedly the largest single sand dune in the USA and we were excited to see this crazy sand dune. When we arrived we had a tour with a ranger set up so he took us all over the park and showed us the dune, lake, campgrounds, and observatory. The observatory was closed but they have tons of programs during the Spring and early Summer. While we were excited to stay the night here we decided to stay somewhere else because they had no running water and I need my shower when camping. The week before they had a storm come in that messed with their systems so they decided to just close up early with the running water. The ranger told us that the best time to come to this park is in the Spring when the wildflowers are in bloom and beautiful. 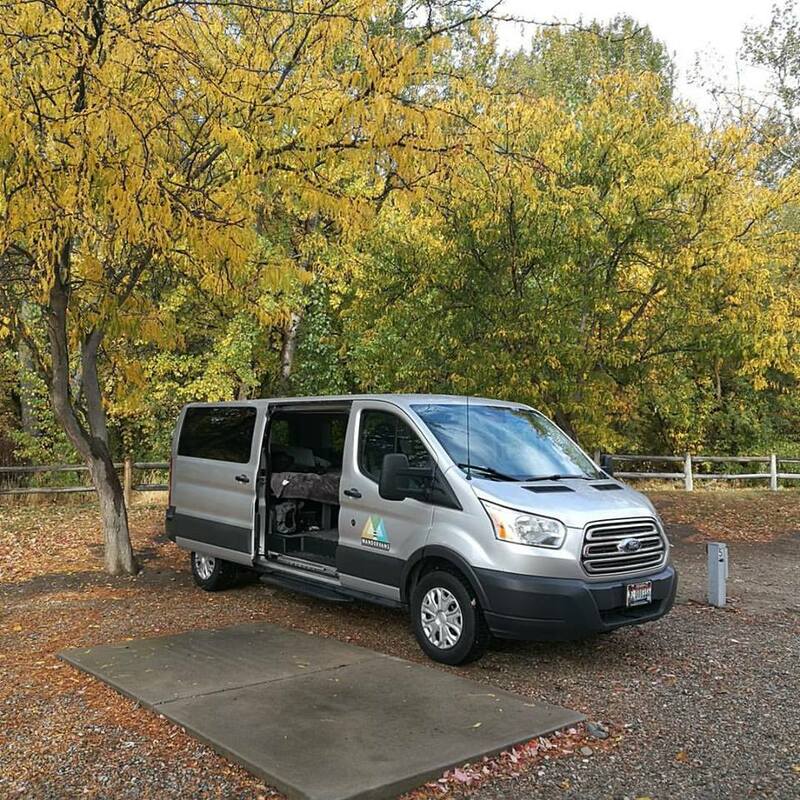 We decided to drive a little further east because we saw that there was town nearby that had some wineries and had a state campground. 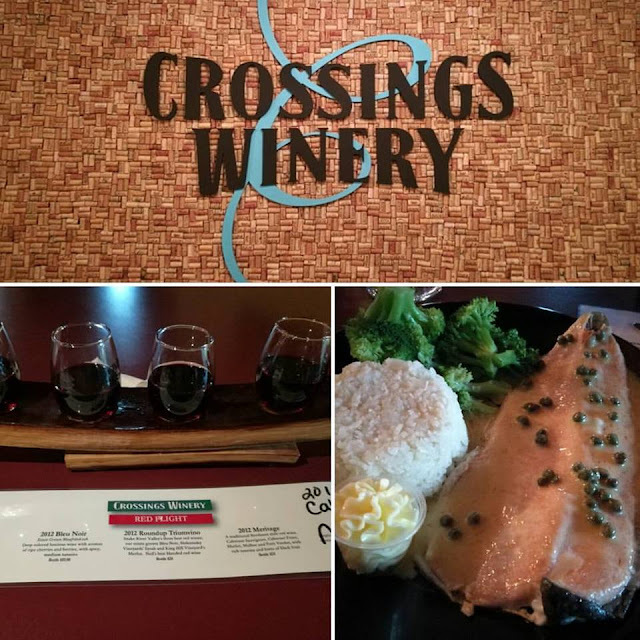 We stopped at Crossing Winery and sampled some wines which were all great and ate some dinner and then headed out to Three Island Crossing State Park which had plenty of camping sites with electric and water with flush toilets! In this town of Glenn's Ferry there are lots of places for RV camping if the state park is full. We had a little fire before it rained and then we went to bed and cuddled close because it got down to the 40's that night. The next morning we drove around the state park a little bit and saw where the people on the Oregon Trail crossed the Snake River (I love history). 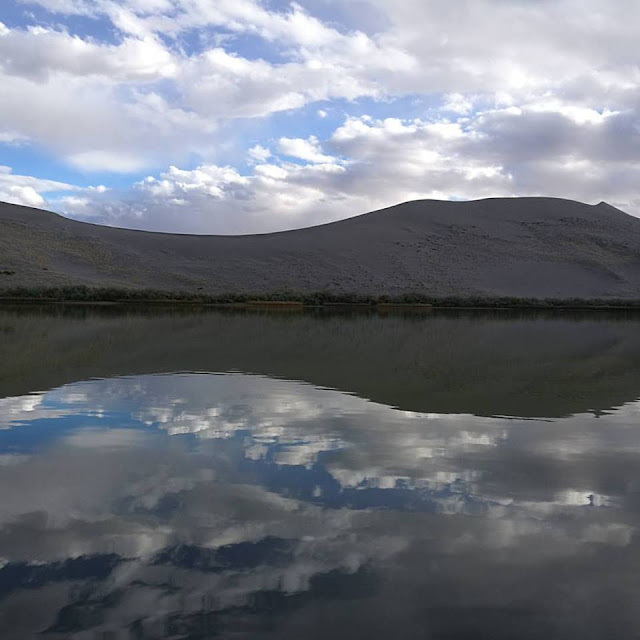 Then we headed back to Boise were we were suppose to meet Chris for fly fishing but the weather was not great so we canceled the fishing part but still met up with Chris who showed us where we would have fly fished. We then followed him to a local brewery called Payette Brewing Company which had lots of beer that the guys had but being gluten free I tried the local cider on tap from Meriwether Cider. I honestly could have sat there and drank cider all day. Of course that was not going to happen because we needed to move on and check out where we were going to be camping for the night which was not far at all. 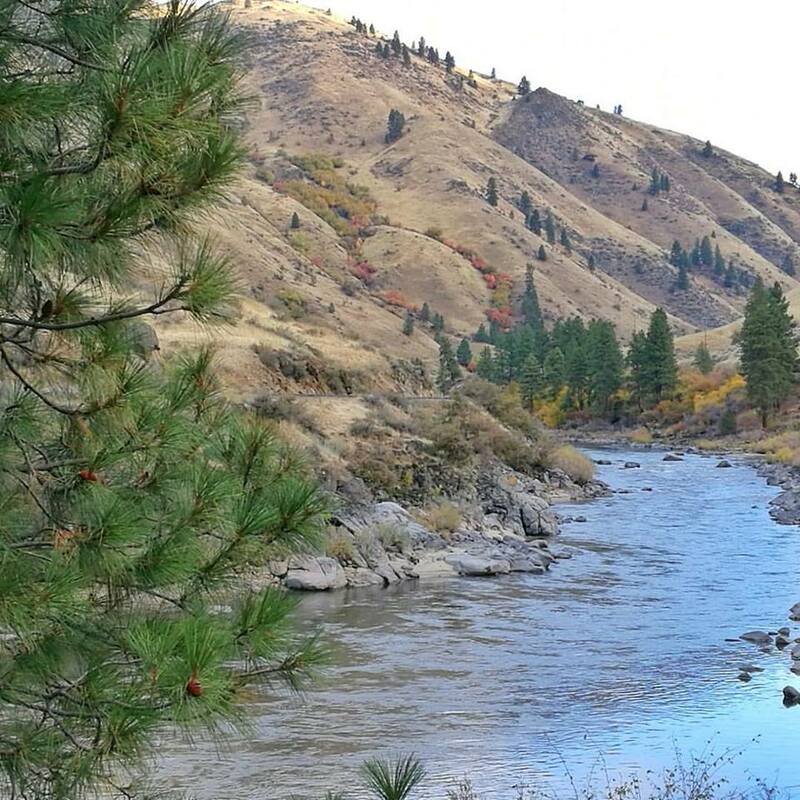 It was actually in the city along the banks of the Boise River and the Boise River Greenbelt which is a long path along the river for walkers, bikers, joggers, and nature lovers out there to just enjoy the scenery. The Boise Riverside RV Park had great facilities and close to many food options so we decided to check some places out. 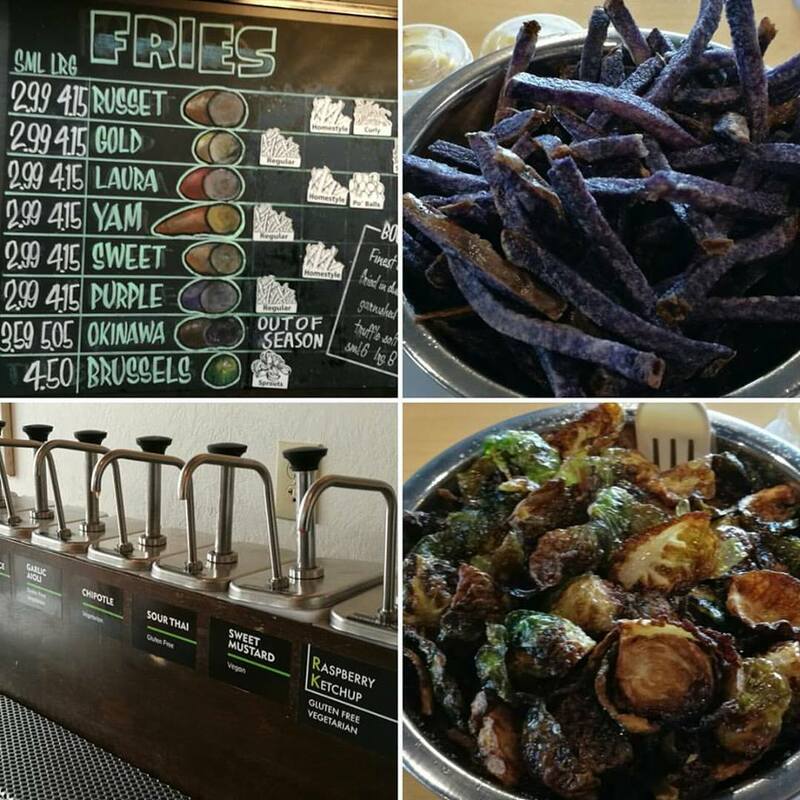 After checking in and getting our spot we went down the road to the Boise Fry Company. Talk about Idaho potatoes! You can get many different varieties of potatoes fried in different thicknesses. You could also get a hamburger or even maple bacon brussels sprouts. I of course got the sprouts and some fries. I would definitely come back here again! Later that night we went for a drive downtown which is so beautiful and new on our way to dinner. We were told to checkout Bar Gernika which is very good and represents Boise well. When I looked it up I found it was a Basque restaurant that specializes in the traditional Basque food. I really never thought of Basque food representing Boise but come to find out Boise is one of the top Basque communities in the United States. I had their chicken kabobs and a broth based potato leek soup that was really tasty. For our last day we wanted to see what the mountains north of Boise were like so we decided to head off to McCall for the night and camp at Ponderosa State Park . The drive up ID-55 was just gorgeous with creeks and beautiful trees along the way. Once we arrived Ponderosa State Park we went to book a campsite and found out that they had also turned off their water for the season early. So word to the wise if you want running water go before the second week of October because they may end up closing the campsites early due to the weather. We saw that they had a few cabins but they were already rented. 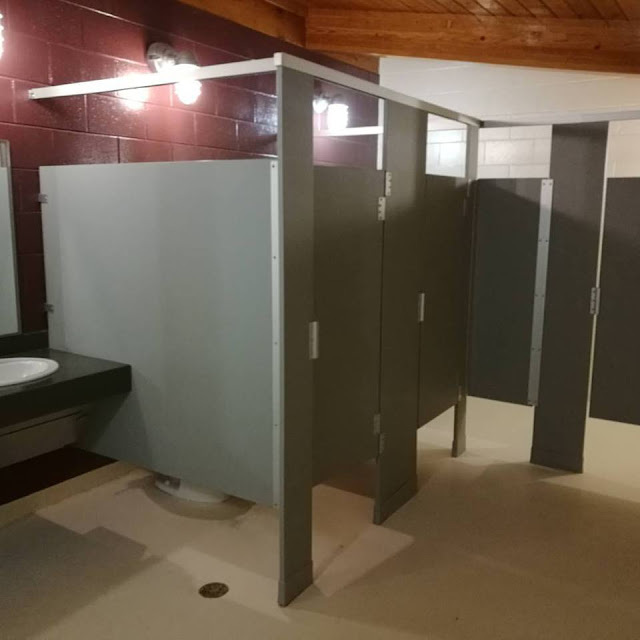 We really wanted to explore the town so we decided to see if one of the hotels in McCall had a room where we could shower before our plane ride the next day. We got a room at the historic Hotel McCall and also found out it was haunted but we never did see any ghosts. The decor in the room is very lake chic and brings you back to the old days at Platte Lake. McCall is also known for great nordic skiing trails at the state park so McCall is a busy place year round. 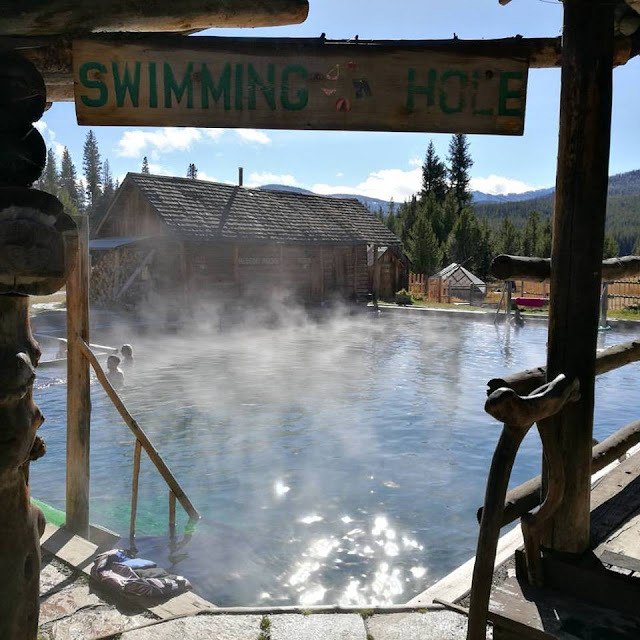 We also heard that the area had a lot of natural hot springs so we definitely wanted to check out the hot springs. Burgdorf Hot Springs is located even further up the mountain off a dirt road about an hour north of McCall. They have a couple rustic cabins you can rent year round with a common outhouse. There are two hot spring pools that average 114F. We were told that once it starts snowing the only way up and down there from McCall is by snowmobile and yes people do want to brave the snow and cold to get to the hot springs. We headed down the mountain before it was totally dark because it started to snow and had no clue how the road would be in the snow. We parked our van at the hotel and walked over to Salmon River Brewery for dinner and to watch some baseball. This brewery was hopping and for a good reason they had tasty food and beers. Our last morning we woke up early since we had to get back to the Boise airport by 11am. We did have one last stop for breakfast at The McCall Pancake House. I was very excited because they had gluten free pancakes which was a treat for me. It was a great trip and we got to see and experience so much more because we had a Wandervan and could really immersive ourselves in nature. 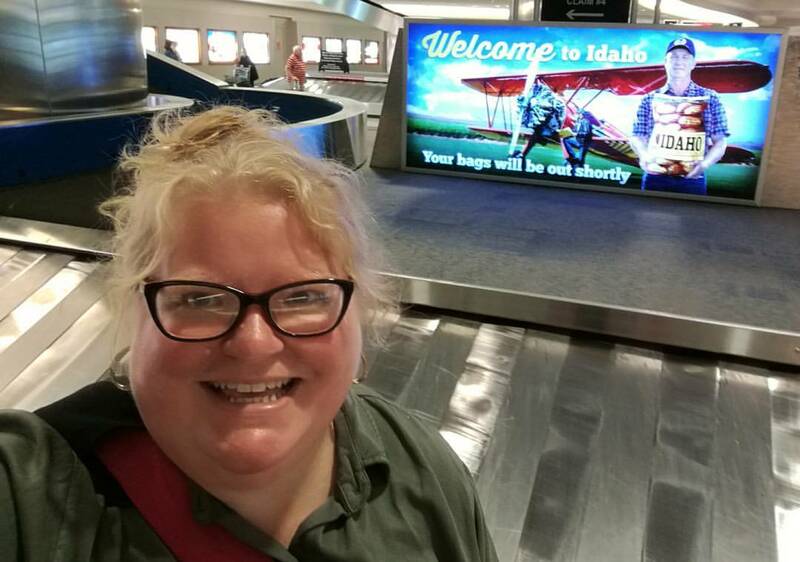 The people In SW Idaho were great and were very helpful with recommendations. I can't wait to go back!